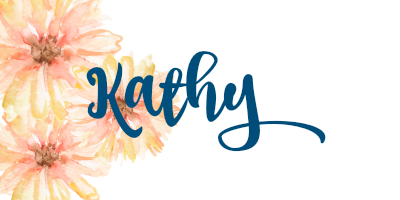 #stampinup #faithfulinkspirations Today's card is a cornucopia of retiring products. Can you find them all? 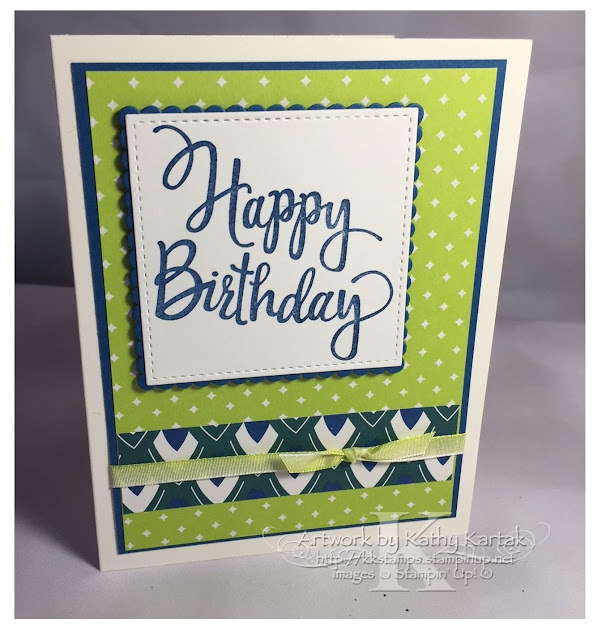 Well, you can start with the stamp--it's the wonderful "Stylized Birthday" single stamp. I can't tell you how many times I've used it. I love it and I'm certainly going to miss it. I might use it a few more times before it retires on May 31st (to make way for new stamps). What else is retiring? How about the Dapper Denim Ink and Card Stock? Yep. That's a retiring 2016-2018 In Color. Emerald Envy, Sweet Sugarplum, and Peekaboo Peach are also retiring. (Flirty Flamingo is returning as a core color!) If you want any of these 2016-2018 In Color products, you will need to act fast. The retiring In Colors normally sell out early--so get a move on if you want them. Don't say I didn't warn you. What else? Well, the gorgeous Eastern Palace Specialty Designer Series Paper is retiring, too. This rich, colorful paper has beautiful designs (like the two pieces on this card) as well as some gold foil sheets. They're beautiful! Don't forget to scoop them up before they're gone. (True fact: There are 3 DSPs that are already sold out: Whole Lot of Lovely, Coffee Break, and Delightful Daisy). Anything else? Nope! The great Lemon Lime Twist Ombre Ribbon is NOT retiring and my much-loved Stitched Shapes and Layering Squares Framelits are NOT retiring. Whew! I almost couldn't take it! Here are a few things to remember about the retiring items. Retiring stamp sets will only be guaranteed to be available until May 25. All other products are NOT guaranteed and are only available while supplies last. 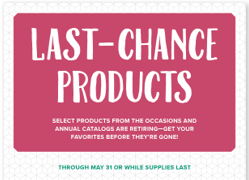 ALL retiring items will be discontinued after May 31. Have a great weekend! I'll be sharing more last-chance products next week so come on back!